My parents made a brussels sprout soup for me on a trip home. 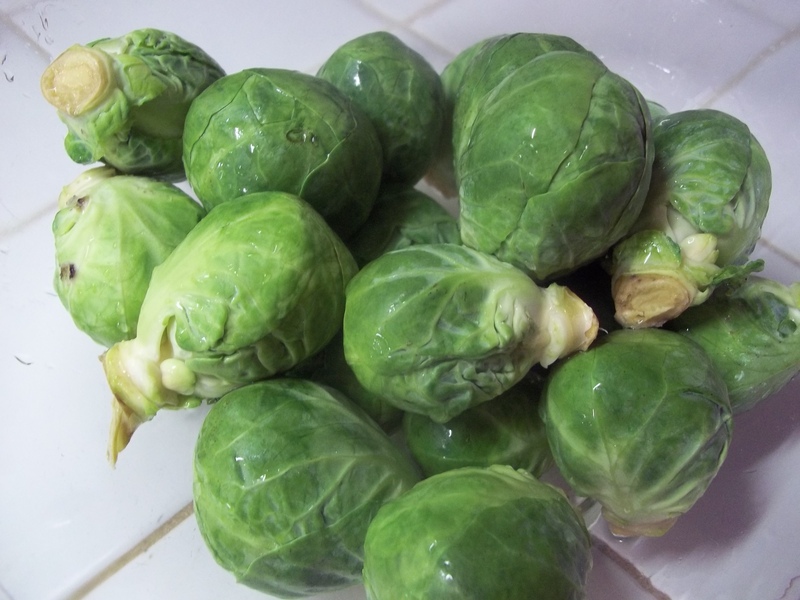 I have always liked brussels sprouts and both of my parents are fabulous cooks, but when they told me what we were having for dinner I was thinking, “Really?”. It was amazing. I think it was a recipe out of a Disney World restaurants cookbook they had. I made a similar version trying to remember how theirs tasted and added pecans. Seriously, I could eat this every week. 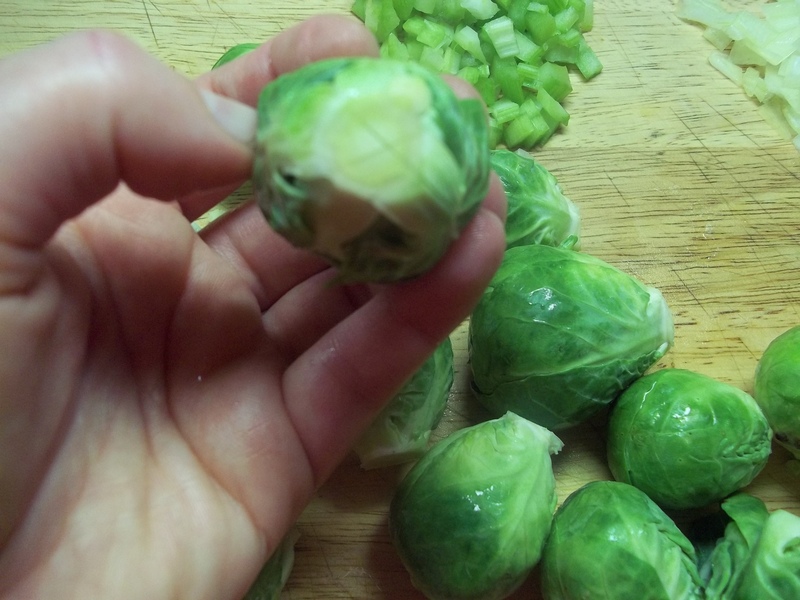 Peel off outer wilted leaves of brussels sprouts. Trim off the stem end and cut a criss-cross into it. Heat oil in a large stock pot over medium heat. Saute garlic. 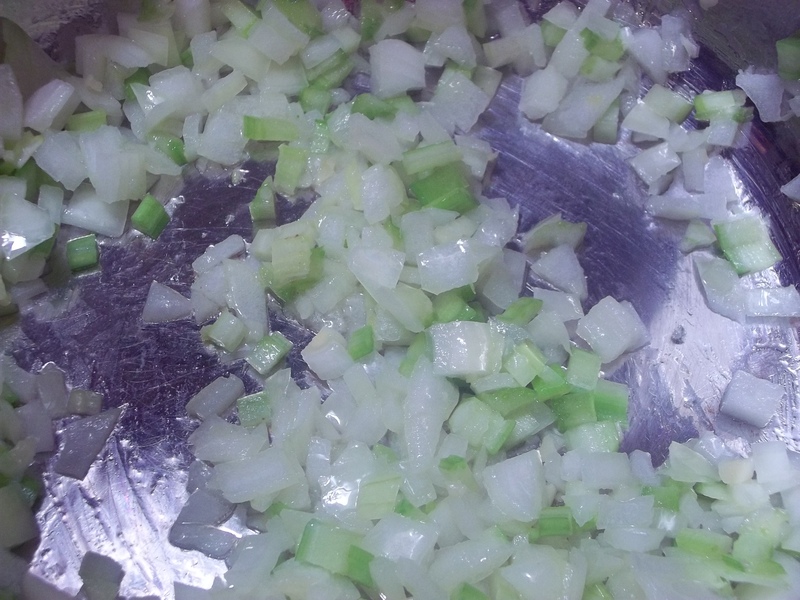 Add onions and celery. Saute until translucent. Pour in stocks or water. Add salt and pepper, and bay leaf. Bring to a boil. Add brussels sprouts. Return pot to a boil. 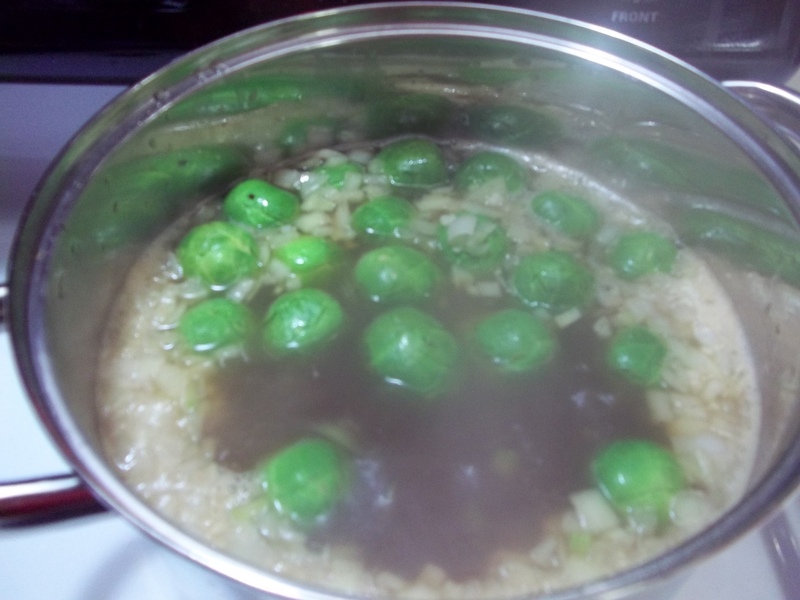 Reduce to simmer and cook for 30 minutes. Simmer 10 minutes. You can serve this way or enhance it. 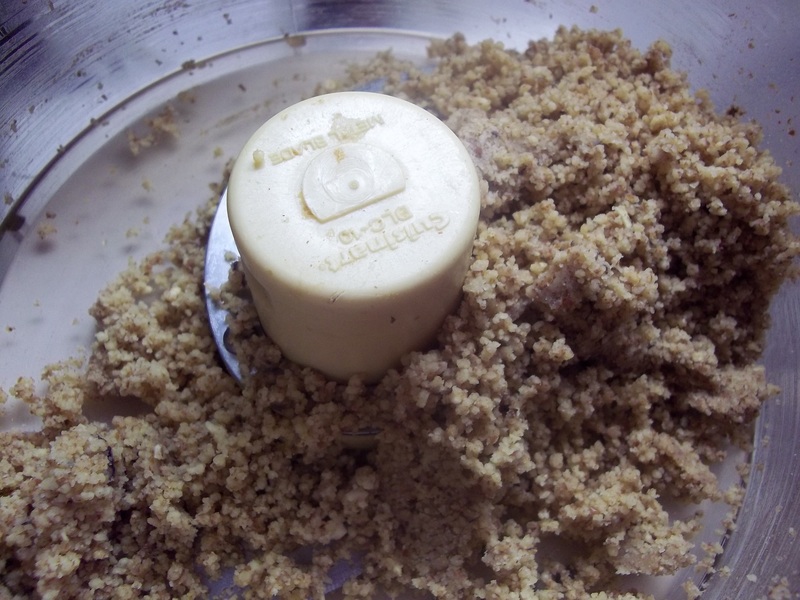 Puree in batches in a food processor. Return to the pot. 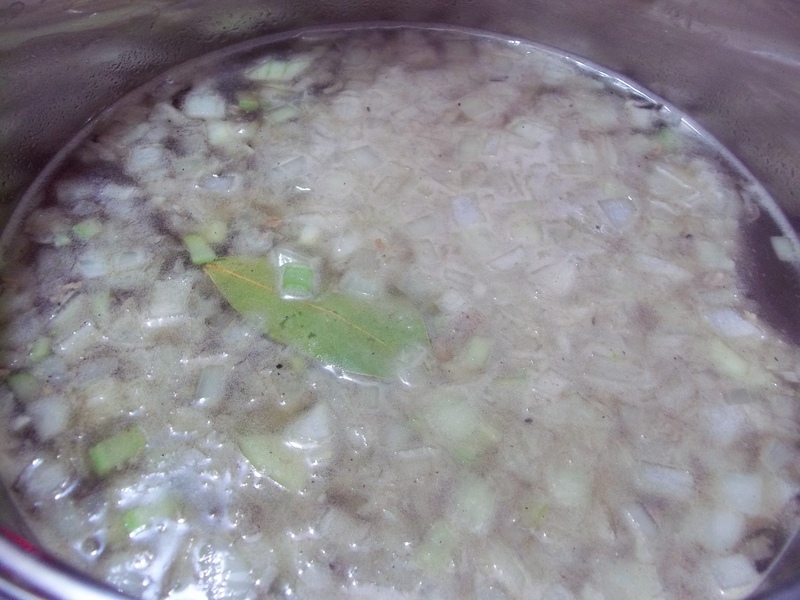 Bring to a low simmer and reduce until thickened. Ladle into bowls. 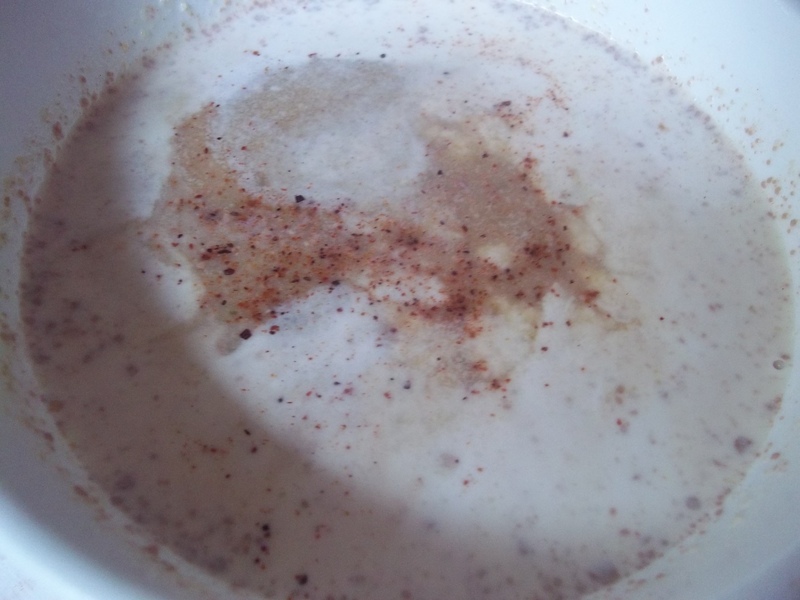 Swirl in cream and sprinkle a dash of nutmeg over the cream. Add a bit of parmesan cheese to each. Note: Asiago, Romano, or Kerrygold Irish Dubliner would all be good added at the last moment. 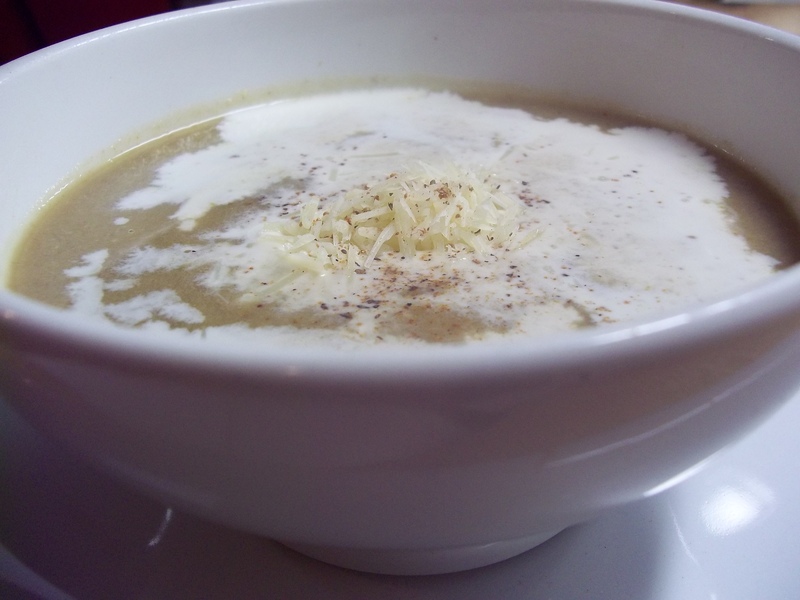 It can easily be made low-fat with the cheese omitted and fat-free evaporated milk substituted for the cream, vegetarian with water or vegetable stocks in place of the beef and chicken. 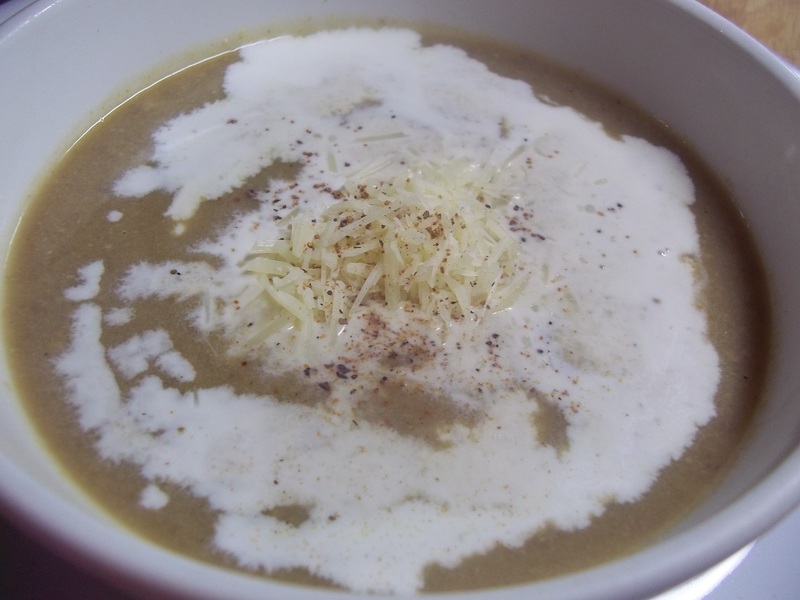 This is also a relatively low-carb soup, as brussels sprouts are lower in carbohydrates than many other vegetables.